Television programmes such as Knight Rider and Star Trek made many of us wonder what life may be like if the intelligent and slightly "magical" gadgets they featured, really existed. Fast-forward to 2012 and self-driving cars, touch screens and mobile communication devices are cropping up all over the place. At the Combined Exhibition of Advanced Technologies (Ceatec) show in Japan - Asia's biggest gadget fair - it was clear that innovators will never stop trying to improve existing technology with new and more fanciful ideas. Ever since Knight Rider's Kitt in the 1980s, through to more recent James Bond films, the idea of cars knowing who is driving them has fascinated filmmakers. Toyota's Information Network Social Electric City Transporter is known more simply as the Toyota Insect. With a single-seat design and an electric motor, it certainly does not look like the average family car of today. While electric cars are no longer brand new technology, cars that know you are there and can open doors on command are becoming reality. Using Microsoft Kinect technology, the doors can be opened when the driver is "recognised" and gives the car a wave. The car even greets the driver by flashing its front lights. Toyota call it a "next-generation communications-linked concept model", which to the normal customer means that gesture control, voice recognition and behaviour prediction are all included. Everything from being able to play songs from their smartphone to changing the air-conditioning at the driver's home, can be done with voice commands. Despite this being a new car though, many are questioning the innovation in its technology. "All of the underlying technology is widely available," writes Jeff Blagdon on tech site The Verge. 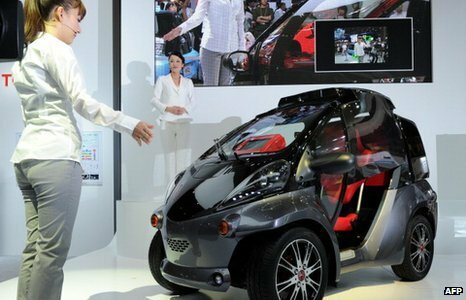 "[It makes] it not so much a concept car, as an imagining of how the company might implement what's already out there." And since Toyota have labelled their design as conceptual, it is possible the vehicle may never make it into mainstream production. For the moment at least, waving at your car will probably only attract strange looks from passers by. Flexible digital displays are often talked about as the materials of the future, with prototypes of digital paper being tested and displayed for years. But what has not yet happened, is a truly flexible mass-market device. 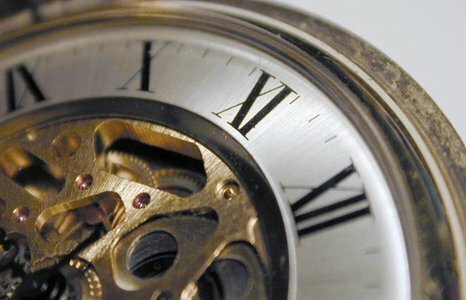 When it comes to watches, the digital watch has been around for exactly 40 years and only recently has watch design taken another step towards changing the way it works. Futaba's watch has a digital OLED display that is only 0.22mm thick and bends around the wrist. Displaying full colour and the ability to view movies (though the resolution is not close to HD levels), the gadget offers a lot more than simply the time. But powering up the device through an external circuit - as it currently requires - will be a tricky task to accomplish on the move. Ever since the first days of 3G mobile technology, the idea of Star Trek-style video chat seemed like only a matter of time. But although enablers such as Apple's Airplay has been heavily advertised, take-up has not been that high. 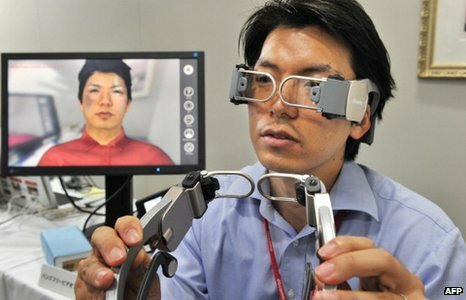 DoCoMo's video chat glasses, rather than taking photos and broadcasting them, produces an avatar that can be displayed on screen. They use five cameras - two for each eye and one at the back of the device - to get as much detail from the user as possible and create an image. While expected to be on the market within five years, the potential for the device could be far-reaching. With sensors in the future recording more of the face for longer, a more intrincate and detailed avatar could potentially be created. And in a similar way to Google Glasses , the glasses could go beyond just conferencing. Movement and heart rates could be monitored for the frail or elderly. 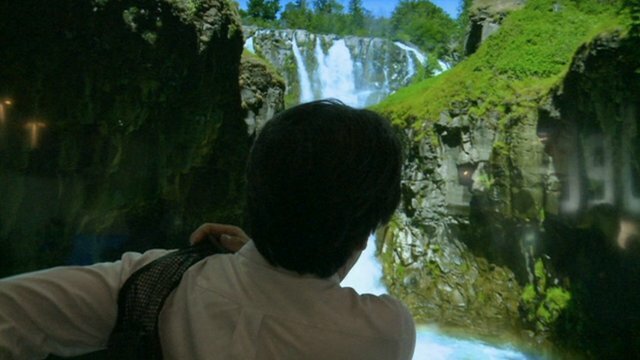 Further down the line, video content could be displayed in the glasses, or information could be projected using augmented reality. It seems design companies are expecting a lot more to come. 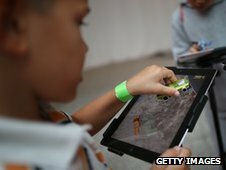 Tablets have often proved difficult to create content for, partly because people use them on the move. 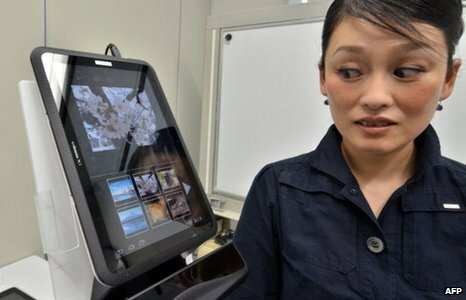 While controlling stares are usually left to hypnotists, tech company NTT DoCoMo hopes that everyone will be able to control their tablet using only their eyes. After a calibration, users can look around the screen, focus on items to select them or, if looking at a word, bring up definitions. Scroll bars are at the sides of the screen so pages can be navigated just by looking around them. While still lacking precise accuracy in some circumstances, the product is relevant for commuters in the first instance, but also progresses technology that could help disabled users.